It’s not lost on me that “fire” is a four-letter word. A word that people find upsetting. Here’s how to terminate someone’s employment with kindness and compassion. A top task for most leaders is to generate results. These could include increasing revenue, improving retention on your team, growing market share, filling jobs faster, or one of many other measurable outcomes that demonstrate you’re during your job. In this episode, I share a simple way to increase the likelihood that you’ll achieve the desired results. Improving employee engagement can happen in one step. I know…sounds too good to be true. That’s a common reaction. Listen to this podcast and you’ll quickly see why it works. BTW—I mention the Dilbert comic strip in the podcast. Here’s a link to the specific one that inspired this episode. Getting referrals and retaining staff just got easier because of Matt Ward. He’s the author of Amazon bestseller More…Word Of Mouth Referrals, Lifelong Customers & Raving Fans. In our conversation, he shares powerful and simple steps you can take to make referral generation easy and honest. You also won’t want to miss his care package idea (starts at 17:28). HR and staffing both impact the most important part of a company―it’s people. Yet, HR and staffing professionals continue to run afoul of one another, seeing the other party as the problem. In this podcast, I offer a way to improve this relationship. 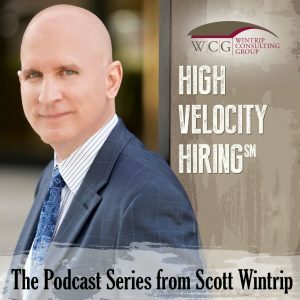 If you’re looking to improve retention, chances are that your company has been overlooking the simple and powerful actions I discuss in this episode of my podcast.